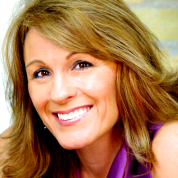 Angela Maiers is an award-winning educator, author, speaker, and trainer, known for her work in leadership, innovation, literacy, and teaching. Angela helps learners and leaders understand the transformational power of technology. Her powerful messages have made her a vibrant, courageous voice in education reform. Her down-to-earth style have made her a highly sought-after keynote speaker. Angela is the founder of Choose2Matter, a global movement that challenges and inspires students to work collaboratively to develop innovative solutions to social problems. She has also authored six books. Her “You Matter” talk at TEDxDesMoines in June 2011 has been viewed several hundred thousand times and was the impetus for Choose2Matter. Angela spent 25 years in education, teaching elementary school in Des Moines, IA and serving as a literacy coach, special programs facilitator, and university professor. "Teachers matter now more than ever because students need us more than ever. There is nothing that we will allow to get in the way of changing the lives of our students -- for good. It’s not easy being a teacher today - which is why I’m delighted to support the efforts of the Global Teacher Prize in shouting #teachersmatter and championing the profession! "